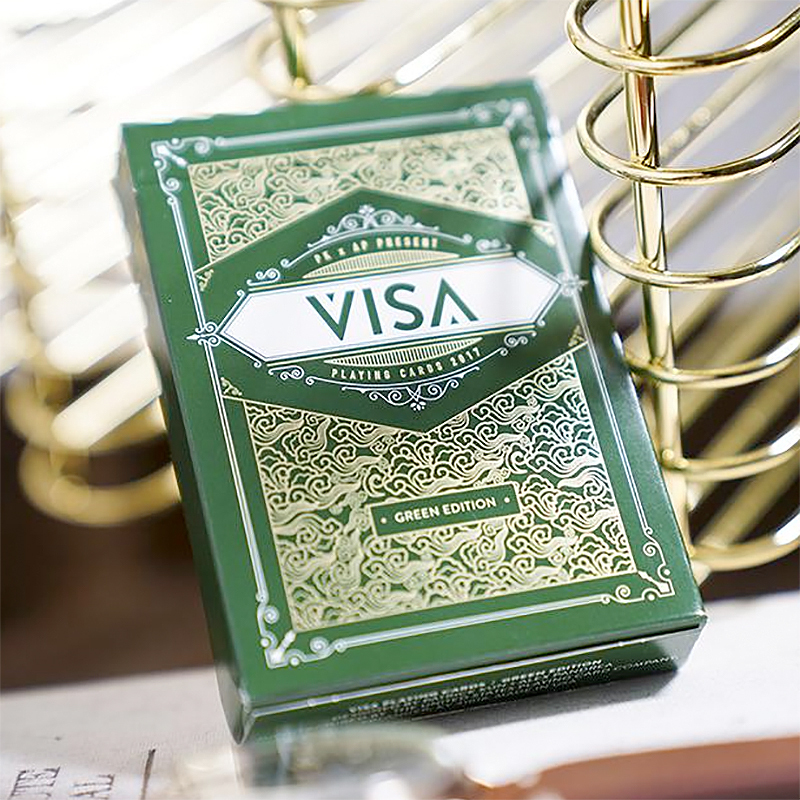 Now Available for the first time - the long anticipated Green Visa Deck! This new deck of cards comes in a deep green color with metallic gold accented design. Printed in the U.S.A at the United Stated Playing Card Company, the green deck have been printed on the elusive THIN CRUSHED STOCK. VISA Playing Cards are the creation of Patrick Kun and Alex Pandrea. The Visa Playing Card Features VISA Playing Cards were created with the magician in mind. We've added many features that have made this deck a must have. Thin Crushed Stock Like the other Visa's before it, the Green Visa Deck is printed on the elusive thin crushed stock from USPCC. The Visa deck has been a favorite in quality for just this reason. Double-Backer Included Every deck comes with a double backer! Duplicate Card In Every Deck Visa playing cards includes a duplicate 2 of hearts in each deck that you can use in your magic effects. • The cards are poker size.